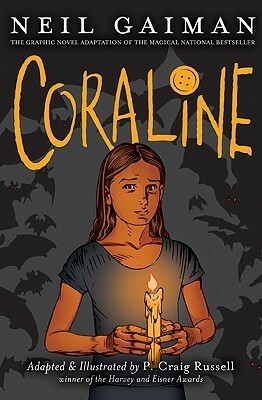 I haven’t seen the movie for Coraline or read the original book so I had pretty much no idea what this graphic novel was about. The overall plot was really interesting and spooky. I wasn’t expecting it to be so strange but I really enjoyed it. I really like Coraline. She was a fun character and I thought she was really well written.